Products can be defined quite broadly. We will now focus on one special category of products: consumer products. Consumer products are those types of products you have to do with most often: in private purchasing. 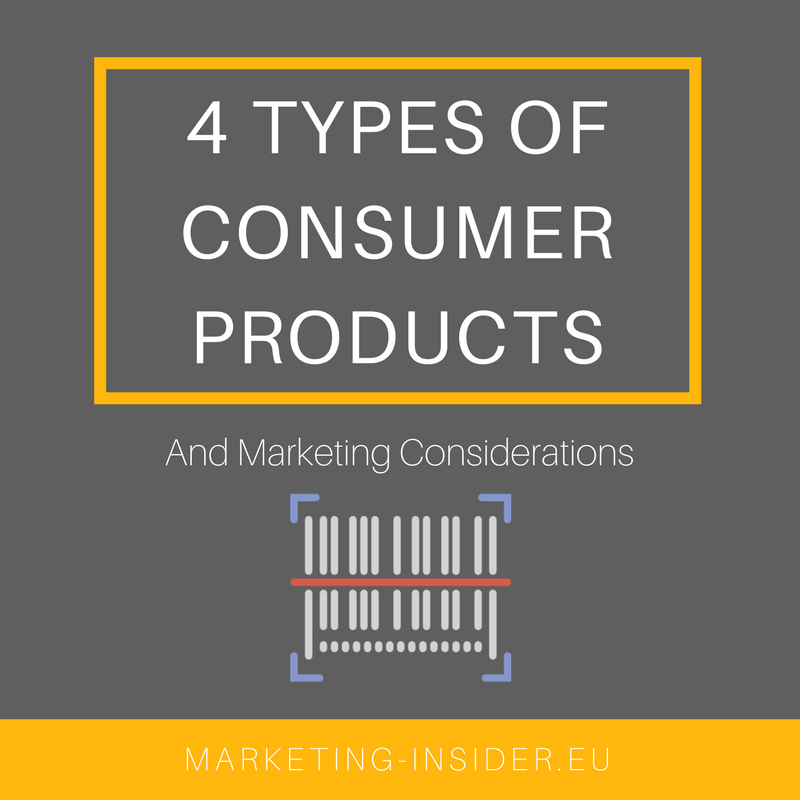 What are the different types of consumer products, and what specific marketing considerations apply to each of the 4 types of consumer products?